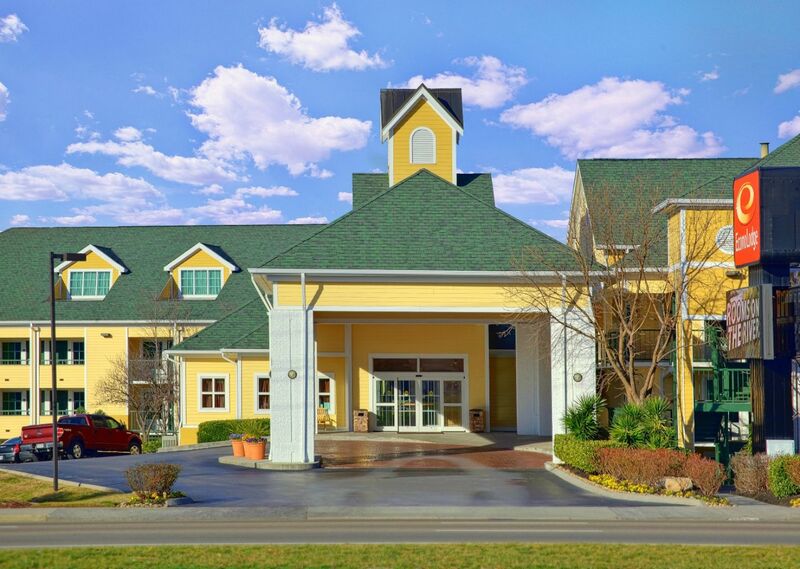 Econo Lodge Riverside in Pigeon Forge, TN is located right on Little Pigeon River, within easy access of the beautiful Smoky Mountains, Dollywood Theme Park, and an array of exciting attractions and activities in Pigeon Forge and nearby Gatlinburg. Get directions to Econo Lodge Riverside and see how easy it is to access one of the most centrally located hotels in Pigeon Forge, TN! Make an online reservation for Econo Lodge Pigeon Forge. The Econo Lodge is located on the right side just after traffic light #2! Go just past light #2B and Econo Lodge Riverside will be on your left, across from Bullfish Grill. In Pigeon Forge, the traffic lights are all numbered, go just past light #2B and Econo Lodge Riverside will be on your left, across from Bullfish Grill.